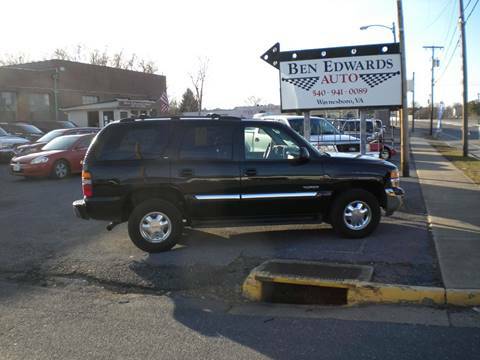 2002 GMC YUKON DENALI.. 4DR.. 6.0L V8 VORTEC ENGINE.. AUTOMATIC TRANSMISSION.. AWD.. 3RD. 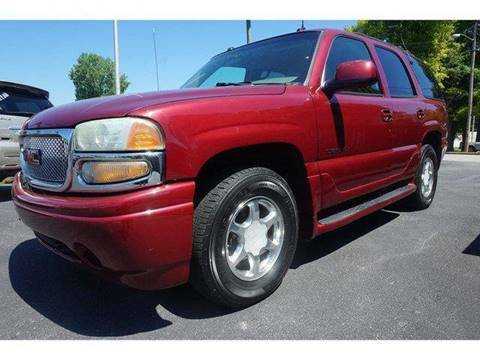 ROW SEATING.. RED IN COLOR WITH TAN LEATHER INTERIOR.. CAPTAIN'S CHAIRS FRONT AND REAR.. FULL POWER OPTIONS.. WELL KEPT.. ONLY 182K MILES. Loaded! Excellent choice! 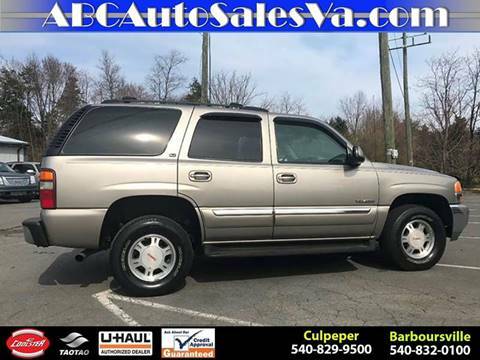 Contact ABC Auto Sales Inc. today for your test ride in this beautiful 2002 GMC Yukon.